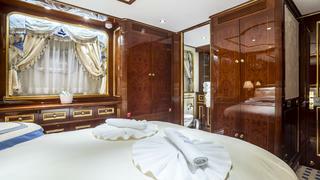 PIDA is a fine example of the Benetti Classic series. 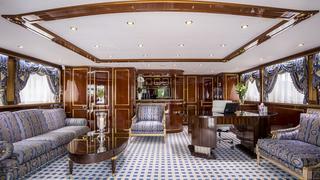 This triple deck displacement motor yacht is known for a lot of volume offering the space of a larger yacht. She was delivered in 2000 and last refitted in 2014/15 for an estimated 2.5 Mio euros. 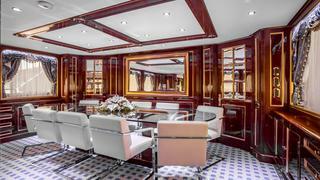 Previously named Symphony, her luxurious interior was designed by Zuretti. 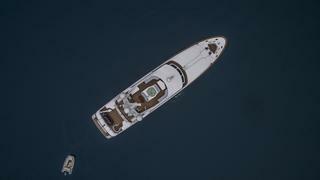 During the winter 2015/16 the yacht has been further upgraded including a new hull paint job. 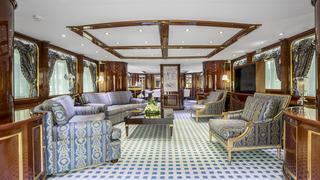 The main deck saloon and dining area welcome the guests with an elegant decor. 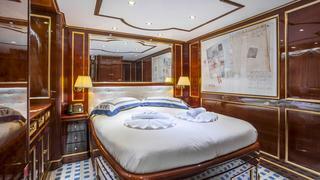 The present Owner has put very much detail into the interior design and has chosen finest, luxurious Versace fabrics in blue, gold and cream. 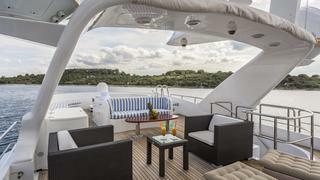 Additionally the yacht features a sophisticated LED lighting system in white and blue. 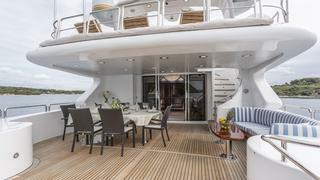 For entertainment PIDA is equipped with a Bose Music System and Satellite TV. 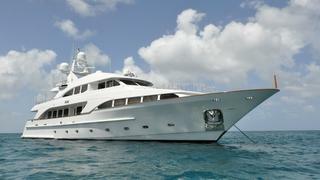 To stay in contact you may use the yacht's hi-speed internet connection and there is satellite phone communication as well. 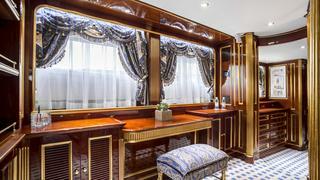 The cosy sky lounge is also equipped as owner's office. 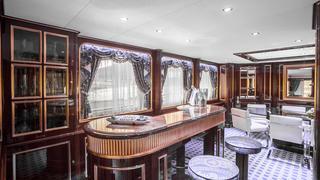 It is used as cocktail area as well, featuring a wine cooler and coffee machine. 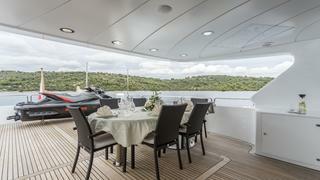 From here you may access the huge upper deck, the perfect place for a dinner under the stars. 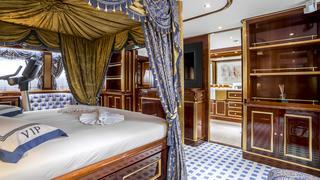 PIDA's sleeping configuration has been designed to comfortably accommodate up to 10 guests in 5 cabins, all en suite. 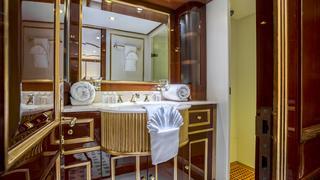 The master suite on the main deck is full width and has a bathroom with large shower and a walk in wardrobe. There is an exercise bike as well. 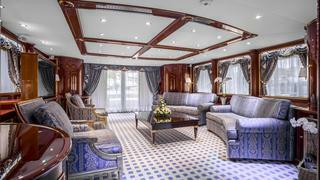 The 2 double VIP and the 2 twin guest staterooms are situated on the lower deck. The soft mattresses are of very high quality and the best that is actually available on the market. 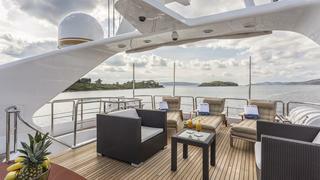 The yacht offers various outside seating areas on all three decks. 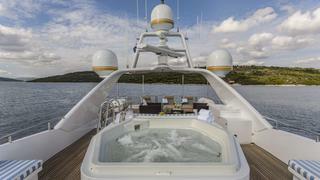 Enjoy the Jacuzzi on the top deck or just relax in one of the various sunbathing areas. Sun shade is provided for all areas and is in part removable. 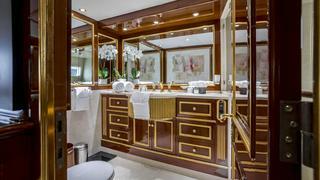 For active guests there is a great array of water sports equipment and kids will love the water slide. PIDA is in excellent condition. 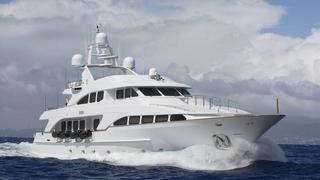 Her QUANTUM zero speed stabilizers make for comfortable stay on board when cruising and at anchor. 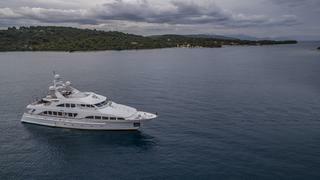 Her Croatian crew will take you to the most beautiful spots in Croatia and Montenegro and will ensure that guests spend a relaxing vacation. 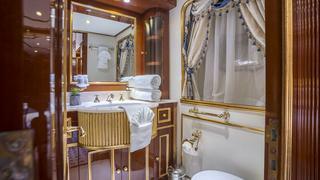 Book her now and look forward to enjoy the holiday of your lifetime on board PIDA!